Great entrepreneurs are like guided missiles. If you point them in the right direction, nothing is going to stop them from hitting the target. It starts with passion. At Dreamit, we will always back a missionary over a mercenary. Founders who are in it for the economic opportunity will always quit when the going gets tough. An entrepreneur who is driven by the need — not the desire — to change the way the world currently works will stick with it through thick and thin. A great entrepreneur is neither a weathervane nor an anchor. He has well-reasoned but lightly held opinions. There is so much bull**** out there, with so many people pretending to be mentors who have absolutely no business being one. A good entrepreneur almost never adopts advice without reflection. If somebody gives him feedback that is contrary to his current hypotheses, he digs into the reasoning behind that feedback and, if and only if the logic and evidence are good, he changes his hypotheses. Lastly, the best entrepreneurs have failed before. If you find someone who has never failed, odds are they never really pushed their limits. Bottom line: When you know what to look for, the best entrepreneurs aren’t hard to find. I’d raised money for startups before. How different could it be? Just add a zero or two to the ask, right? It turns out that raising money for a venture fund is a heck of a lot different than raising money for your startup… and certainly not any simpler. You see, angel & VC investors are all pretty similar when it comes right down to it; we want you to make us money. Show us good odds (by startup standards) to make a lot of money and we’re in. Maximizers are the most like angel investors. They are sector agnostic; they don’t care if the investment is in real estate, a cupcake shop, a tech startup, or your fund – you are competing with every other opportunity out there for their investment dollar. They just want the biggest bang for their buck. To win, you need to show that your fund’s combination of risk, reward, and time frame is the best. Don’t waste too much time on strategic differentiation. Cut to the chase and stress the overall performance of your sector vs. other sectors, your team’s past performance and other relevant experience, and (if you’ve already started investing) the performance and potential of the companies already in your fund’s portfolio. Allocators are typically individuals or family offices who take a top-down view of their portfolio and have decided that they want a certain amount of “exposure” to VC. You have to show them that you are the best option in your venture asset class. It often helps if you can redefine the class somewhat. Make it narrower and it’s easier for them to see how you come out on top. For instance, DreamIt doesn’t simply position itself as a VC fund investment. We are angel stage investors and in that extremely early stage there aren’t many alternatives; there are just a handful of other top accelerators with funds. Beyond those, the Allocators’ only other options are second tier accelerators and direct angel investing. Allocators are allergic to the former and don’t have the time or skills for the latter. Note that, while you don’t have to sell your sector to Allocators, it does help if you can show that your sub-sector outperforms. Fortunately for us, overall VC returns for the past decade plus have been pretty dismal whereas early stage / angel returns have been stellar. Institutionals (e.g., pension funds, endowments, insurance companies) are essentially very large Allocators. They are run by professionals and tend to have standard (and often slow & painfully thorough) due diligence processes, in part because they tend to be more conservative and focus heavily on preserving capital. Their challenge is to keep a lot of money at work at all times. Small investments are the same amount of work to assess for them as large ones are but even super returns just don’t move the needle for them unless their initial investment is big enough. At the same time, most institutions don’t want to represent more than 10% of your fund. So if their minimum check size is $5M and you have a sub $50M fund, you are likely wasting your time. Pipeline Fillers are looking for dealflow. They may be later stage VC or PE funds who know that it is extremely hard to get into the hottest deals if you are not already on the cap table. Or they can be large family offices or corporations who like to invest in particular industries but don’t have the skills, connections, resources, or inclination to invest in raw startups. For Pipeline Fillers, you need to understand their investment focus first and then show how your portfolio matches their need. You also want to highlight how they will get access to your portfolio. At DreamIt for instance, we stress the early introductions we make such as invitations to session kickoff events and “LP Day” where our investors get a preview of the newest DreamIt startups well before the general public meets them on Demo Day. We also point out that, as a relatively small fund, DreamIt rarely invests beyond the B round which leaves a lot of pro rata investment rights for later rounds that we can make available to our LPs. Strategics want to know what disruptive technologies are just over the horizon. They are often corporations who want an opportunity to partner with the best startups before their competition gets to them. They may even want a chance to make some targeted investments and/or acqui-hires. Portfolio fit is critical here. Selling a generalist fund is difficult because only a small share of the startups will be relevant to that particular Strategic but pitching a fintech focused VC fund to a bank or an IoT/smart device fund to a large electronics conglomerate makes a lot of sense. While return does matter, they are largely buying insight so focus your pitch more on your deep industry knowledge and your access to disruptive seed stage startups in that space. Sometimes, you may even pitch your fund to the government entities that are first and foremost Economic Developers. Increasingly, the SBIC, states, and even a few of the larger cities have allocated some of their economic development budget to VC investment. This is an entirely different kind of conversation. They want to know how many jobs you will create in their region so be prepared to talk headcount, not returns. Also, there will be strings attached – limits on non-region investments, co-investment requirements, etc. You may even need to set up a side fund for their investment to exclude startups that don’t meet their mandate. Oh, and don’t expect them to move quickly either. Impactors make up a similar but separate group of potential investors. These may be government entities or non-profits with social goals. Often referred to as double bottom line investors, Impactors want to invest in particular types of ventures such as minority or veteran led businesses or startups targeting environmental or anti-poverty causes. Impactors vary from wanting to maximize profits while constraining their universe of investments to those that meet their mission to those who want to maximize their impact on their primary social metric while at least meeting a minimum target return. Impact investors are typically a poor fit for VC LPs unless your VC fund was constructed specifically with their goal in mind or predominantly targets a closely related industry such as environmental impact investors and a clean tech fund. The last category is Fund of Funds. Their value proposition to their LPs is that they can pick the better VC funds, justifying the fees they charge. These fees apply after the underlying VC funds take their fees. There’s been a mini revolt against “Fees on Fees” so these guys are a vanishing breed but if you do meet one, your pitch should be similar to the one you use for Institutionals, only stressing returns instead of capital preservation. Fund of funds may also be looking to slot your fund into their pre-defined set of target buckets so take some time to figure out what their buckets are and show where you fit in. Plus, if your fund doesn’t quite fit cleanly and neatly into their framework, that’s one strike against you. Lastly, because of the fee issue, be prepared for the Fund of Funds investor to ask for a discount of your management fee, carried interest, or both. So the next time you sit across from a VC and think wistfully about how much nicer it must be to be the one writing the checks, remember this: every few years we go through the same wringer as you do and it’s no picnic for us either! Acknowledgements: I’d like to thank my colleagues who contributed valuable feedback on earlier drafts of this piece including Skyler Fernandes (Simon Venture Group), David Teten and Katie Bluhm (ff Ventures), Sumeet Shah (Brand Foundry), Amanda Nelson (TCP Ventures), Jorge Torres (VenSeed) and Steve Berg (Antecedent Ventures). In case you are wondering, I’ve opted to list them in the order with which they responded to my request for feedback in the (likely misguided) hope that this will encourage them to answer my emails even more quickly. Note: This post originally appeared as an article on FOCAPNET. Angel investing is hot… and not just because it’s so cool. When for over a decade single-digit Venture Capital returns qualify as “top quartile”, seed stage investments have generated 27% ROI. (2) So it is only natural that family offices and high net worth individuals are eager to get exposure to this sector. The only problem is, they often don’t have the experience they need to do it right. A family office decides it wants to get into angel investing. One of the investment professionals goes to a few meetups and generally gets the word out that he is in the market for interesting startups. He starts getting pitched (directly, via LinkedIn, etc.) by a host of “investment advisors” representing “hot startups”. A few of these startups look pretty good so the family office invests. The family office decides that startups are a “bad investment” and goes back to what it was investing in previously. Hint: Step 3 is where things ran off the rails. I’ll get back to that in a moment. The more sophisticated family offices employ investment professionals who have deep experience analyzing the strategies and returns of public equities, hedge funds, private equity funds, etc. These are all well defined instruments, within generally limited investment universes, for which substantial data is available. Even if you are considering seeding a hedge fund or committing to a newly minted PE/VC fund, you can still mine the principles’ track for a fair number of data points. Furthermore, there are well-established channels for learning about new opportunities (e.g., “capital introduction” dinners) in these spaces. Now reverse every single one of the above characteristics and you get angel investing. Every halfway decent startup opportunity is unique, solving unmet needs in different industries – sometimes in industries that don’t even yet exist. There are no registries or directories of startups, no associations to join. And you can forget about data entirely with a pre-revenue company. At best the founders have one or two reasonably successful prior ventures under their belts. (If they had a real home run under their belts, they wouldn’t need investors at all.) Furthermore, the best way to find great startups to invest in is to know other great startups so if you aren’t already deep in that community, you’re already disadvantaged. Unfortunately, most family offices don’t realize how fundamentally different early stage investing is from other alternative asset investments. So they don’t see anything amiss when investment adviser brings them startups to invest in. (I told you I’d get back to step 3.) They are used to meeting emerging hedge fund managers that way so why shouldn’t they find a great startup that way too? Because the best startups are never, ever represented by an investment advisor. Think about it. VCs are the most networked people on the face of the earth. VC present at panels or judge pitch events practically every week. They meet dozens of entrepreneurs every week and know – and have often co-invested with – virtually every other VC in our area. If a startup founder can’t network his way into a warm introduction to a VC or angel, how is he going to find customers or key strategic partners? Is this advisor going to be holding his hand then too, after your check has cleared? Plus, the very fact that the founder thinks he can waive his hand and simply have someone else take something this crucial to his business for him is huge red flag in and of itself. So any startup that has an investment advisor fundraising for them is already automatically suspect. In practice, the deals the family offices are being shown by these advisors are the hairy, old, over-shopped deals that every VC and halfway serious angel have already turned down. It’s no wonder they fail miserably. To be fair, to the untrained eye they don’t look that bad. Perhaps they have a cool piece of ad tech that you are convinced will take agencies by storm. You have to really know the industry to understand why agencies turned them down two years ago when they first tried shopping their solution around. That fantastic social media marketing tool? It’s so wonderful that five other companies are already doing it and they are all making better progress than the one you were pitched. But if you aren’t seeing dozens of startups each month, there’s no way you could be expected to be on top of all these trends. So what’s a family office to do? Fortunately, there’s a better option: Startup Accelerators. Accelerators(3) are the boot camps of the startup ecosystem. Companies accepted into top accelerators are the very best, earliest stage startups in the world. The top accelerators typically get hundreds of applicants for just 10-15 spots. Having just run the screening process for DreamIt NY’s summer 2014 program I can personally attest that this is no exaggeration. The odds of getting into Harvard are slightly better than getting accepted into DreamIt. 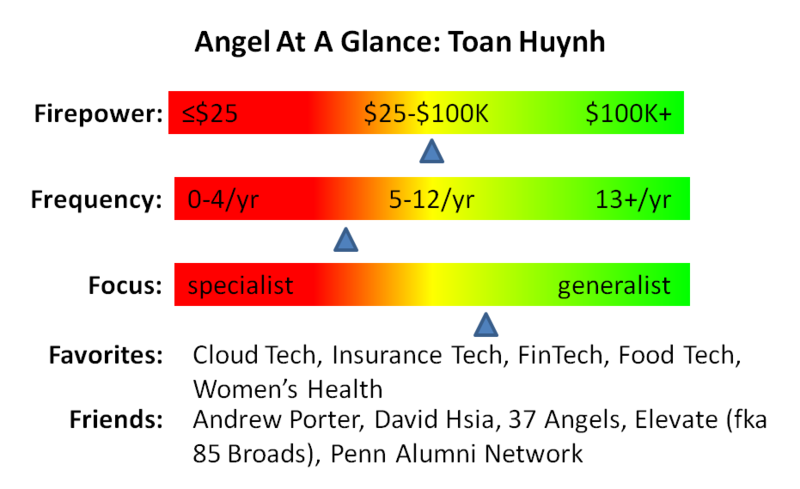 Accelerators give the startups they accept a little cash ($20k-$40K on average), co-working space for the duration of the program (typically 3-4 months), and extensive mentoring, coaching, and introductions. Finally, on “Demo Day” the startups graduate by pitching their business to an audience of hundreds of active angel investors hand-picked by their accelerator. In exchange for all this, the accelerator gets equity in the startup (usually 6-8%) and the right to co-invest in the startup’s seed round. From the perspective of the family office, accelerators can be the capital introduction dinners for startups. Unlike the shady investment advisors discussed above, accelerators are personally invested in the startups they accept. Accelerators do not get commissions on the fund they help their startups raise; they only profit when their portfolio companies have an exit so their incentives are aligned with the other angel investors. But they are more than just a trusted recommendation from a fellow angel investor. Accelerators like 500 Startups, DreamIt, TechStars, and Y Combinator invest in dozens of startups each year and can bring a structure and rigor to the investment process that few angel investors have. Established accelerators bring unparalleled networks and reputation to the table enabling them to source the very best new companies out there. Many accelerators are structured much like VC funds. But there is one crucial difference: co-investment. Even the most co-investment friendly VCs only make their portfolio investments available to LPs if they are unable or unwilling to invest their full pro rata. If it’s a great portfolio company, the VC will continue to invest until it runs out of powder or starts bumping up against position caps. And if the VC is able to but does not want to exercise its full pro rata, do you really want a bigger stake in that company? In both cases, the VC eats first and the LPs get leftovers. Accelerators on the other hand, rarely invest in more than a small fraction of the portfolio company’s seed round. As I mentioned above, early stage investing is a numbers game so they reserve most of their investment capacity for new startups. As a result, 75% or more of the round goes to new investors. Think about that for a moment. Here’s an entity that filters out 98% of the startups they see, takes the top 2% and gives them all the help a young company could ask for, and then willingly steps aside and lets any other angel or VC swoop in and invest in those elite new ventures. No commissions, no membership fees. Wow. If all a family office did was go to the Demo Days of the top 4 or 5 accelerators and invest in the presenting startups, the filtering effect alone would give them a high quality portfolio of early stage investments, no additional effort required. For the family offices who want to build their own experience base and startup network, there is an even better option: invest directly in the accelerator. Accelerators typically give their LPs early access to their new class so LPs can track a startup’s progress over a longer period of time before deciding to invest and/or can invest before Demo Day and avoid the risk of missing out on the hottest prospects. Furthermore, most accelerators will gladly explain their selection process, describe how they are assisting the startups, and introduce LPs to other members of the startup community. This practical education is not something you can buy anywhere but you can get it for free simply by investing in something you already want to invest in. Investing directly in a top accelerator also makes sense from an efficiency perspective. Even investing the bare minimum $25K per startup (and some startups insist on $50K or $100K minimums), creating a portfolio of 100-200 startups would cost a family office $2.5M-$5M. But this leaves no money for follow on investments. As a rule of thumb, you want to set aside $1 for follow on investments for every $1 initially invested so getting that 100-200 startup portfolio actually means committing $5M-$10M to early stage investing. In contrast, you could invest $1M (4) into the accelerator’s fund for the same portfolio of 100-200 startups, including follow on investments. That comes out to just $5K-$10K per portfolio company. It researches the accelerators in its area and invests in 1 or 2 of them. It spends the first few accelerator cycles learning the ropes and making connections. As it gains confidence, the family office invests directly in a few of the accelerated startups, effectively doubling-down on a few, high conviction plays. Now how’s that for a happy ending? (1) Just in case you were wondering, “For fools rush in where angels fear to tread” was first written by Alexander Pope in his poem An Essay on Criticism. (3) Sometimes called incubators, although incubators are more often shared co-working spaces with some additional services that are of value to startups. Unlike accelerators who rigorously screen their applicants, incubators are generally open to all, space permitting, as long as they can pay the rent.